We are trying to raise money to cover my mother-in-law's medical expenses. Tina was diagnosed with breast cancer in December 2012 and has been through chemo, radiation, and multiple surgeries since then. 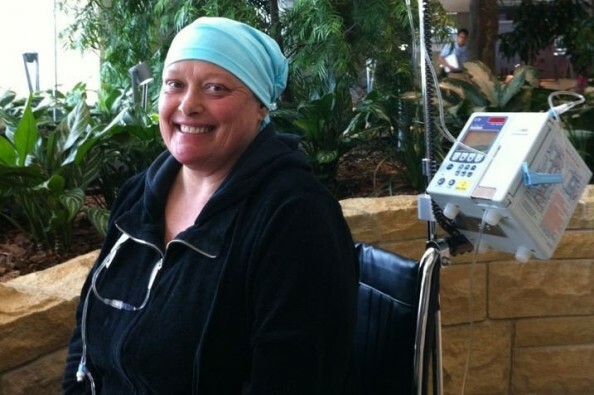 Although insurance covered a large amount of those expenses, the deductibles and copays have added up to become a frightening sum during her fight to survive. We are hoping that you will help by donating what you can, or if you can't contribute funds, please share this on social media and/or your blog so we can get the word out. We've made it past the $5,000 mark. Thanks to everyone who has contributed so far. We've almost made it to $5,000. Let's make a push to get there! Wow, $2,000 already. Let's keep the ball rolling. We have raised over $1,000 already! Tina is currently in surgery and we hope to get an update soon. This has managed to do the impossible and take our minds off the surgery for a brief moment. Thank you to everyone who has contributed so far. I sent this in memory of my dear friend and Rick's Mom, Helene. Hi to all the rest of the Vandenberg family as well. The fact that she can smile while dosing herself with radiation is beyond me, and just goes to show how strong she is! About that smile of hers…gratitude for the day, and seeing you I imagine. You make her proud I'm sure. Heck, you make me proud and I'm not you ma! Lol!